Worldwide leader in the design, development, testing and manufacturing of Joule Thomson Cryostats and Laboratory Cryogenic Systems. Stat Global Inc. purchased RG Hansen and Associates from the Hansen family in January of 2013. R.G. 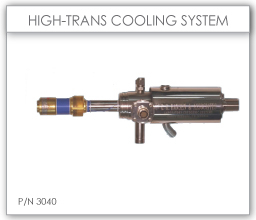 Hansen has been the recognized leader in the development, repair and manufacture of Joule Thomson Cryostats, Laboratory Cryogenic equipment and associated equipment for over 30 years. RG Hansen’s products have a longstanding commitment to quality and are recognized worldwide in the aerospace industry. Stat Global offers a wide variety of off the shelf Demand Flow and Fixed Orifice J-T Cryostats as well as custom engineered cryostats built to the highest quality standards. Our cryostats are designed for rapid cool down of detector elements, have no electrical requirements and can operate on nitrogen, argon and pure air. We have manufactured and delivered thousands of cryostats and have supported critical programs such as the AIM-9 sidewinder, ASRAAM, BAT, THAAD and many others. 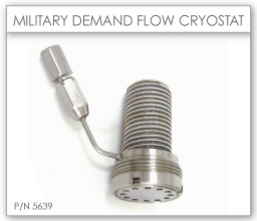 In addition to cryostats, we offer a full line of supporting accessories including high and low pressure filters and tube and fitting assemblies.